Enjoy this Thanksgiving Prodigies video as you get ready for Thanksgiving Day! In this free video, you and your kids can sing, hand-sign and play along! Grab some bells, Boomwhackers or get ready to hand-sign! This song does have a Bb in it, but if you only have the C Major Bells, you can use an F in it’s place (which is notated lightly under the Bb). We hope you have a wonderful thanksgiving and don’t forget to check out the sheet music download below as well as Cyber Savings inside the Prodigies Shop! We hope you enjoyed this free video from Prodigies… Happy Thanksgiving! 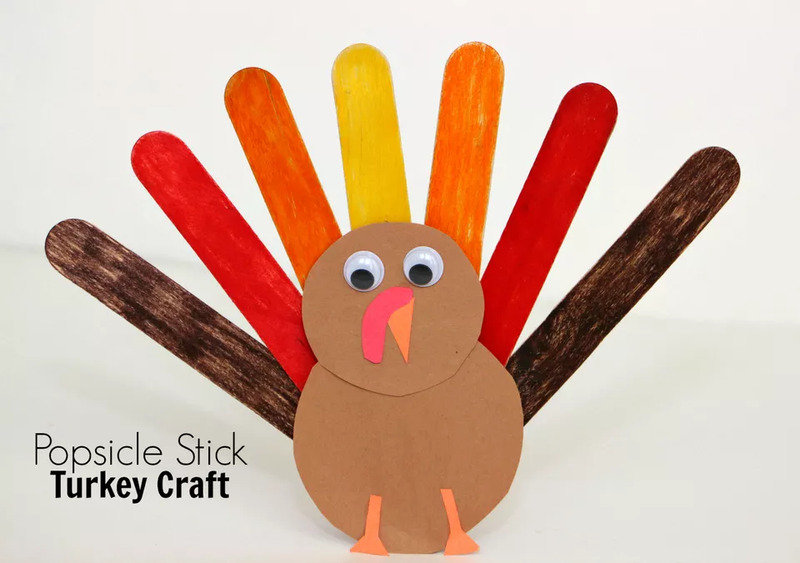 If you’re looking for something to keep the kiddos busy while you cook Thanksgiving dinner, let them try this Popsicle Turkey Craft! It’s super easy and adorable! You can even make it a Prodigies turkey by painting the popsicle sticks solfege colors! If you missed last week’s Prodigies Turkey Coloring Sheet, go ahead and print it for Thanksgiving week! These turkey treats would be the perfect surprise to give your students the last music class before Thanksgiving…big, fat turkeys filled with chocolate or candy! Living Montessori Now gives us a great collection of songs, rhymes, and finger plays you can use for circle time! This is a neat activity you can use to teach thankfulness to your students! Head over to De Su Mama for step-by-step instructions on how to create Mr. Grateful Turkey! You can also tweak it just a bit for a Prodigies activity. Instead of students writing what they are thankful for on the feathers, provide them with solfege colored feathers. Pass out all the feathers and then call out a note name. The child that has the correct solfege colored feather gets to come up and stick it on the turkey! Play Pass the Turkey with the assembled turkey from the activity #8! Have students sit in a circle and then turn on some fun Thanksgiving songs. Students will pass the turkey around the circle until the music is paused. Whoever is holding the turkey when the music stops is out of the game. Keep playing until you have one student left. They will be the winner! Thanks for checking out our unit study! Happy Thanksgiving and Gobble, Gobble!